Now that you have your transplants in the ground and your little seeds are germinating, it’s time to get that soil in between covered up! Covering exposed dirt is good for your plants, your garden bed and the little critters that help build your soil. It keeps the moisture in the ground longer so your growing plants can thrive, and provides shelter for the worms and bugs that aerate the earth. 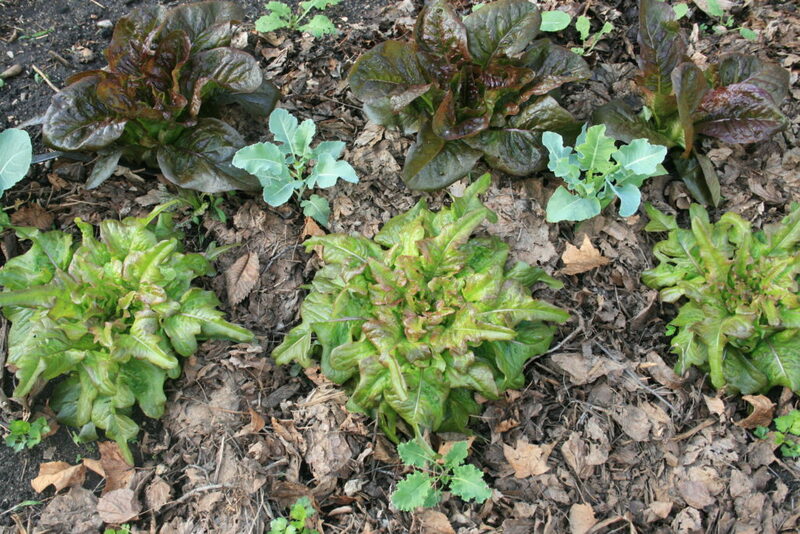 It also decomposes over the season, effortlessly building the health of your garden’s soil! WEEDS! 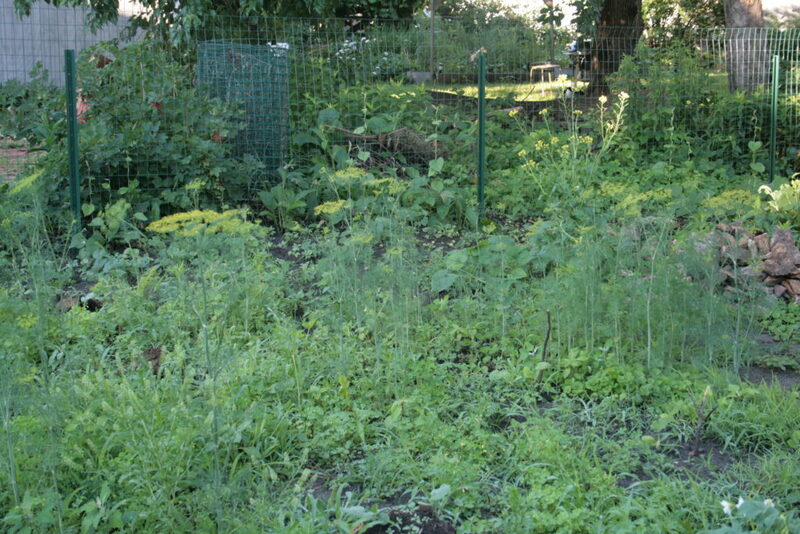 oh so many weeds (and dill) all over our garden! OOf, its a battle out there. Luckily, we’ve saved a whole heap of fall leaf bags from the neighborhood. We’re ready to fight. We lay it on thick. REAL thick. Think about those determined grass shoots and what they are capable of getting by. Folks, I’m talking inches thick. The more, the better. If you don’t have access to leaves, or prefer a different look, I highly recommend straw bales, which you can often find at garden stores, or long country roads. It looks so lovely in the garden! You can also use wood chips or shavings, but we generally save these for berries and trees. They don’t decompose quick enough to have a place in our veggie beds, and some wood, such as pine, causes your soil to become acid. 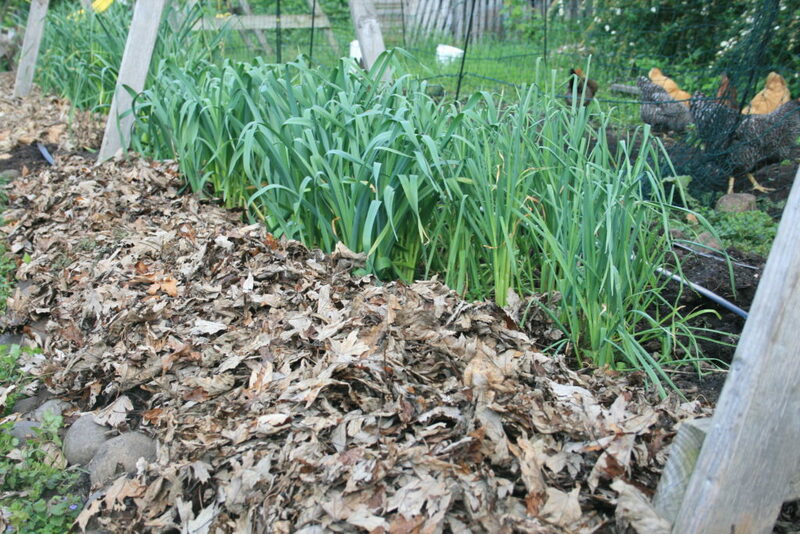 Lastly, I love the creative use of plants called cover crops as a living mulch. In between plantings or even underneath your existing veggies, some clovers and other types of plants help smother weeds while also building healthier soil. There is enough information on that topic for books to be written, though, so I won’t cover here!